Serving the Upstate of South Carolina since 1992. Refurbished Printer Sale going on NOW!! Why settle for a personal-grade laser printer, when you can upgrade to a professional-grade laser printer for less? 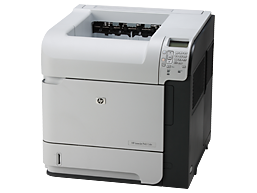 While supplies last, we have several great-quality, refurbished Hewlett Packard Laser Printers in stock. Choose from the HP LaserJet 4250 (45ppm) or the HP Laserjet P4015 (52ppm). We offer compatible and Original Equipment Manufacturer (OEM) printer supplies. Our Premium Compatible Toners are made in factories certified under the ISO 9001 Quality Standards, and contain up to 80% new parts, including a long-life drum and graphics quality toner. Ask us how to save on printer service when you establish a supply relationship with us. We sell several brands of printers including Hewlett Packard, Lexmark & Brother. We also make recommendations on how to increase your printer productivity, optimize printer drivers and update firmware to increase printer performance. The typical used toner cartridge weighs about 3 pounds and is composed of 40% plastic, 40% metal, and smaller percentages of rubber, paper, foam, and toner. The plastic is made of engineering-grade polymers and takes at least 1,000 years to decompose. However, approximately 97% of these combined components can be recycled and reused. Remanufactured toner cartridges reduce pollution and waste by minimizing the amount of materials, such as plastic, steel, aluminum, and rubber, disposed of in landfills. The remanufacturing process also conserves natural resources by eliminating the need for virgin materials used to make new cartridges. For each pound of new material used in remanufacturing, 5 to 9 pounds of virgin materials are conserved.